Verona Rose is an Actor, writer and stand-up character Comedian who also has a passion for directing and film making. 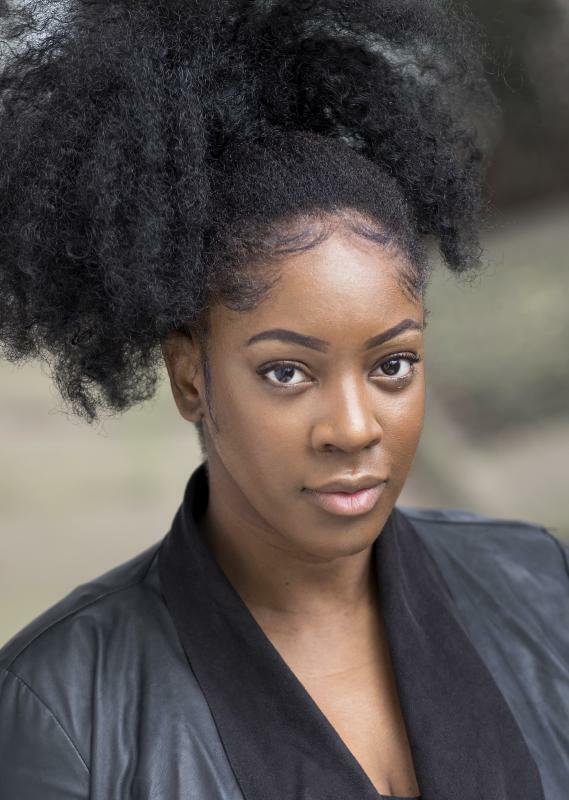 She is one half of comedy duo D&V and is currently working as the creator, writer and lead talent of her newly commissioned BBC Three Sitcom ‘Fully Blown; where we will get to see Verona show off her very real and awesome Mc and Rap Skills. Verona’s funny bones has seen her write and star in Channel 4’s All 4, ‘Girls Go Trolling’ and most recently starring in a Ladbible sketch which received over 3 million views in less than 48 hours. She is a member of London’s first and only all black improv group ‘NU Z Land’ headlining and guest appearing in and around London’s improvisation scene. Verona trained in Theatre at The Brit Performing Arts School and then at Brunel University before going on to teach Drama in her old Secondary School in Southampton; and then back to pursuing her dream to becoming the UK’s Tiffany Haddish equivalent. She is bold, brave a ballsy. Not only is she a comedy actor but also a dramatic and theatre actor, having had smalls roles in BBC’s Doctors and Eastenders as well as lead roles at the New Theatre Royal, Catford Broadway and Wimbledon Theatre. Verona used to perform, write and record as female MC Reena. Winning the Home Grown Cuts on BBC 1xtra and and becoming a finalist in BBC’s Urban Flava. Verona studied for two years at the Brit Performing Arts School, where she completed a B-Tech National Diploma in Theatre studies. She then went on to do a degree at Brunel University in Modern Drama studies. After Graduating, Verona went straight into her field, and started teaching Drama as a means of informal learning. She ran a successful business for almost three years. Verona became driven by the thought of success in her business and lost track of her initial and long term career goals ACTING/PERFORMING! It took seeing the dedication and love that someone very close to Verona had for their art, for Verona to realise SHE WAS ALWAYS BORN TO SUCEEED..... But as a performer, NOT A TEACHER. In late 2010 Verona got back on her grind and hasn't stopped since!